She Re-Purposed It: Time Out!! 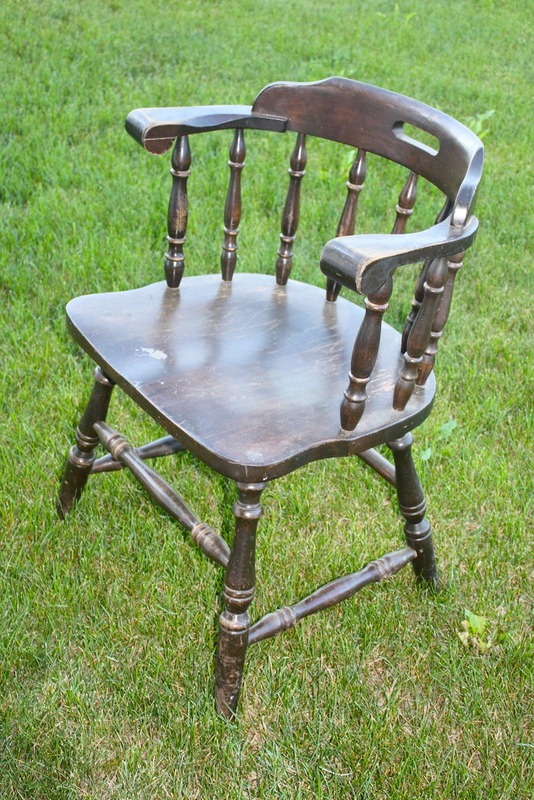 I had come across this Captain's Chair in my travels! It had such great character and structure! 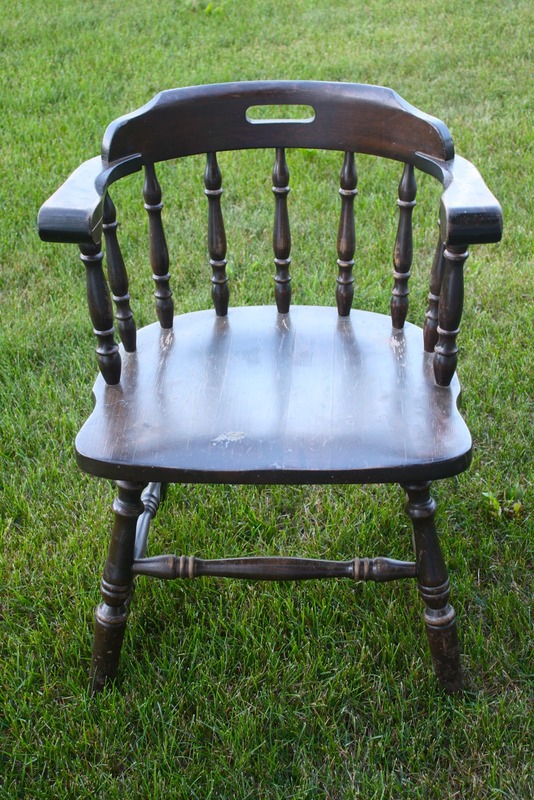 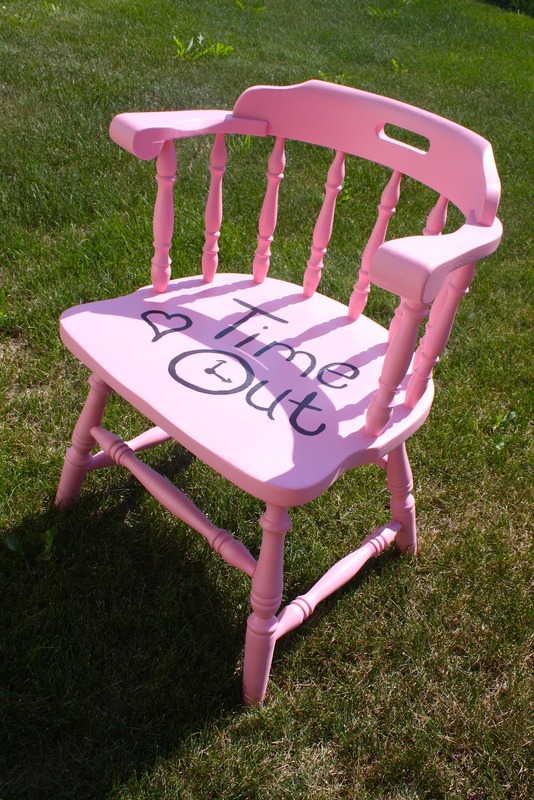 I had a friend looking for a Time Out Chair for her little girl and when I spotted this gem I knew it was just the perfect piece for the job! 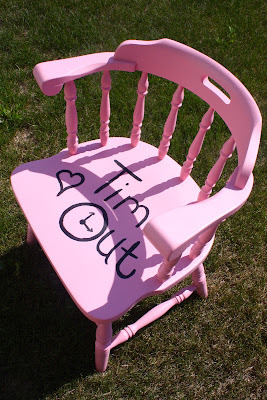 After a few coats of pink paint and some finishing sealant along with some hand painted words this chair is ready for some Time Outs! A quick snap of the before and after one more time!